Telemachus: Who Is Going To Be The 'Next Howard Jarvis'? Who Is Going To Be The 'Next Howard Jarvis'? Google him and see who he is. He's more important than you think. He was the precursor to the Ronald Reagan Revolution that enveloped the nation in 1980 by spearheading the passage of Proposition 13 in the somewhat unwieldy California direct plebescite system. Many people don't realize that without Howard Jarvis, Ronald Reagan might not have upset President Jimmy Carter in 1980. Howard Jarvis was not a political operative such as Karl Rove, Lee Atwater or David Axelrod. He was not a wealthy big fundraiser or 'bundler' such as billionairess Penny Pritzker who is President Obama's Commerce Secretary nominee who just revealed she 'forgot' to report $80 million in income for tax return purposes. Apparently, the IRS was busy doing 'other things' than to bother people such as Penny Pritzker. Howard Jarvis was an unlikely leader of any political movement. He was a loud, brash, hard-drinking boisterous kinda guy who had lost in the GOP primary for US Senate in 1962 and made several runs for mayor of Los Angeles as the anti-tax candidate. He was employed at the Los Angeles Apartment Owners Association when Proposition 13 was proposed. It would cut property taxes in California by 57%. It passed overwhelmingly with 2/3rds of the vote. Why does any of this ancient history lesson mean anything today when we have very high under-employment or just plain 'very high numbers of people who have dropped out of the workforce because they can't find a job...especially recent colllege grads'? We also have yawning budget deficits and exploding national debt we seem to remember. Because quite simply the recent IRS abuse revelations that took place under the Obama Administration have struck a nerve in America that is in the DNA of everyone once they come to the United States whether they know it or not. What the IRS over-reach of power has done is remind most Americans about just how much they hate the IRS. Even people who don't pay any income taxes still have to file with the IRS which they do so with a sense of dread and foreboding that 'someone from the IRS is going to come after them!'. Even though in its best days, the IRS could only pay attention or audit perhaps 1% of all of the 125 million tax returns in a year or just over 1 million households. The hopes and dreams of those who want 'more taxes' can pretty much forget it now. With this IRS? Under these standards? And just remember: The same people who had oversight of the IRS when it was passed by the majority of Democrats in Congress and signed into law by President Barack Obama in 2010 had the foresight (some say 'temerity') to hand over vast amounts of enforcement of Obamacare to, whom class? 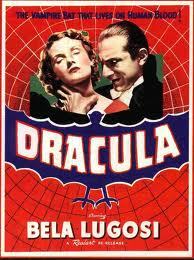 The Obama Administration should have gone ahead and put Count Dracula in charge of the Red Cross blood banks for good measure. So, the stage is set for the 'next Howard Jarvis' to rise up somewhere in America and coordinate a massive tax revolt that seems to occur in America about every 30 years or so. As we celebrate this Memorial Day, remember that many of our soliders died defending the right to freedom; the right to low (or no) taxes; the right to not be controlled by any central authority anywhere in government. It is in the history of America. It is in our DNA to 'rebel against oppression' wherever it might rear its ugly head. 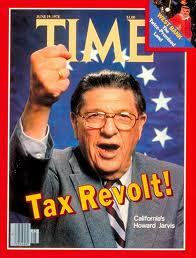 We are right on schedule for a tax revolt on the order of Howard Jarvis' Prop 13. The time is right, The mood is right. Who will the leader be? Obama, Benghazi and Mark Sanford?